In Mexico different street vendors add signature ingredients to their tortillas - avocado is eaten at any time of the day. Mix the beans with KNORR Mexican Chunky Salsa Mild GF. Combine the avocado and HELLMANN'S Real Mayonnaise. Construct in the following order: tortilla, Mexican bean mix, eggs, cheese, coriander. Serve opened with creamed avocado on top. 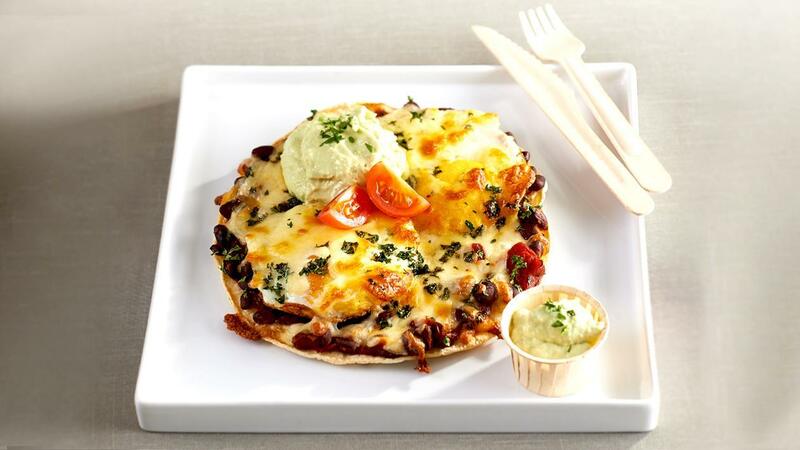 Huevos Rancheros is a popular Mexican breakfast dish usually served opened. The basic dish consists of fried eggs served upon lightly fried corn tortillas topped with a tomato-chilli sauce and refried beans. Slices of avocado or guacamole are common accompaniments.